Dr. M. Sanjayan explains why scientists usually aren’t so good at explaining climate science to the public. A Vox video. Bummer, Dude. Global Warming Will Swallow Good Surfing Beaches. 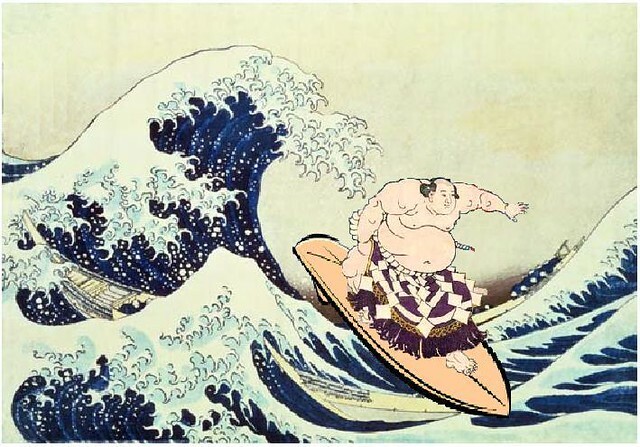 “It may seem that stronger storms and swells would be a boon to surfers. 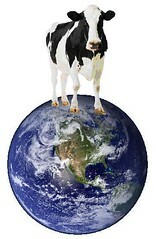 But as with many aspects of living in a changing climate, the outlook is far more complicated. West Coast surfers will have to hit the beaches of North Carolina, where sea level change is against the law. President Donald J. Trump has announced that the United States is withdrawing from the Paris Climate Accord — not to protect American jobs (it won’t) or to help U.S. industry (it won’t) but because he can. Actually, it will take 4 years for the U.S. to fully withdraw from the agreement, unless Mr. Trump ignores its terms and makes the USA seem even more unreliable to other nations. 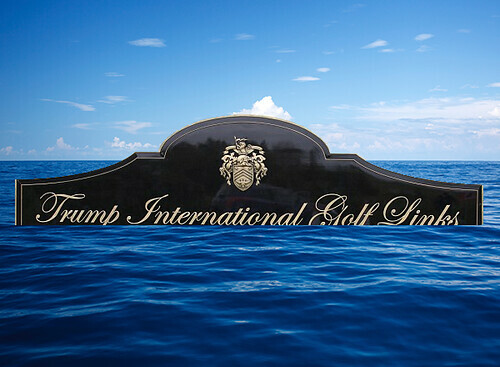 Mr. Trump’s determination to ignore climate change will come at personal sacrifice, since the resulting sea level rise will engulf his golf courses in Florida and Ireland. Hey, maybe Eric, Don Jr., and Jared can promote water polo. Ivanka can make the bathing suits! Italian pianist Ludovico Einaudi performs one of his compositions on a platform floating near the Wahlenbergbreen glacier at Spitsbergen, Svalbard, Norway for the Save the Arctic campaign. Florida officials have a strategy for fighting climate change: don’t talk about it. Employees at the state’s Department of Environmental Protection were warned not to used the terms “climate change” or “global warming” after Republican Governor Rick Scott took office in 2011. 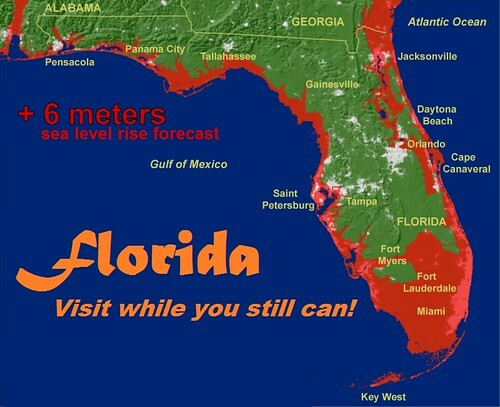 That won’t stop the warming world’s rising seas from swallowing Miami, but mum’s the word until Mr. Scott leaves office. In the realm Higher Mathematics, he’s figured out how to cut taxes but keep popular tax deductions and government benefits. The method seems to involve lots of sleight-of-hand and wishful thinking. Maybe there’s a secret formula in Atlas Shrugged. In Climate Science, Mr. Ryan has determined that humans have not contributed to Global Warming, despite decades of research that indicate otherwise with a 97% consensus. This isn’t just a tree-hugger matter; the Pentagon says Climate Change is a threat to National Security.